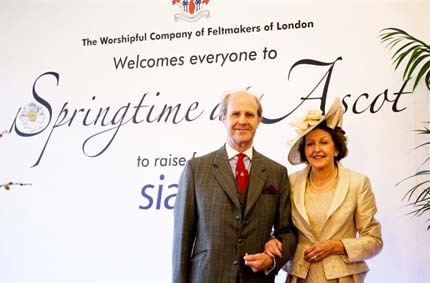 Springtime at Ascot, this year’s Feltmakers charitable fundraising event, took place at Ascot Racecourse on Wednesday 2 May 2012. 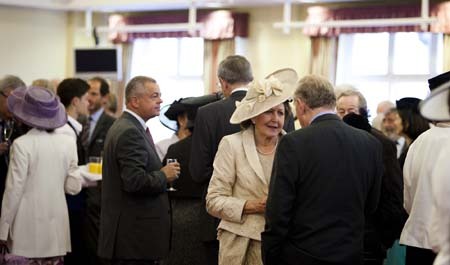 Over 265 guests, including a good proportion of Liverymen, assembled in the magnificent Pavilion Restaurant to enjoy a spectacular and highly entertaining day, thanks to the professionalism of the organising committee led by our Master, Eda Rose-Lawson and her husband, George. All the hard work proved worthwhile, as more than £70,000 was raised for the Spinal Injuries Association. 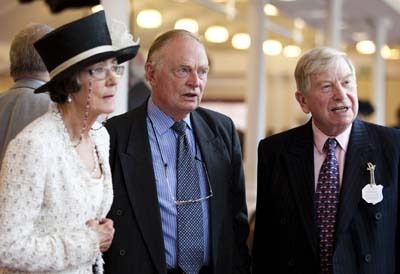 The Feltmakers Charitable Trust will receive10 per cent. of the net funds raised . After a champagne reception and grace by our Chaplain, The Very Reverend Colin Semper, guests sat down to a delicious luncheon accompanied by fine wines. Congratulations are due to Sodexo Prestige for the high quality of the fare provided and the attentiveness of the waiting staff. 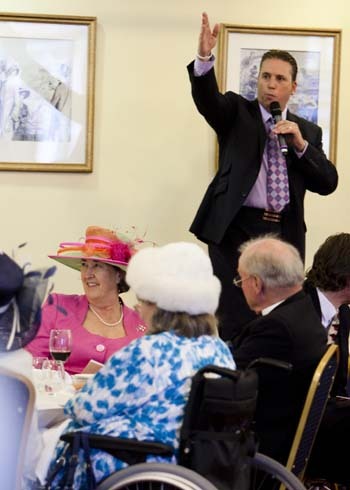 Following luncheon, professional charity auctioneer Russ Williams conducted the auction, possibly the showpiece of the whole event. Eda and George had worked very hard to secure a most impressive list of auction lots to suit a wide range of tastes and credit cards. At the high end, the lots included amongst others an all-expenses-paid four-day trip for four to a luxury chateau in Cognac; a bespoke solid silver watch by Simon Benney (a warrant holder to Her Majesty); a week in a villa for eight in Corfu; a week in a chalet for six in the French Alps; golf and accommodation for four at the famous Woburn golf course; lunch for four with the Duke of Devonshire at Chatsworth; dinner for four at the Waterside Inn at Bray, hosted by Jenny Agutter; dinner for eight at the Ritz, hosted by Lord and Lady Fellowes of Downton Abbey fame and George and Eda Lawson; and a box for ten at Royal Ascot. 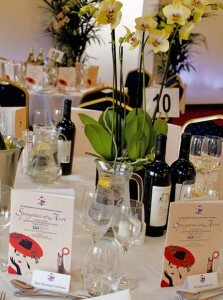 However, the silent auction offered a range of equally interesting and less expensive lots to tempt the guests. And tempted they were; the main auction, together with the silent auction and the raffle, raised some £43,000 on the day. This was a truly staggering result. Thanks are therefore owed to the generosity of the many contributors as well as those, including a good number of Liverymen, who donated auction lots and raffle prizes. There were also many generous donations from people who could not attend on the day. 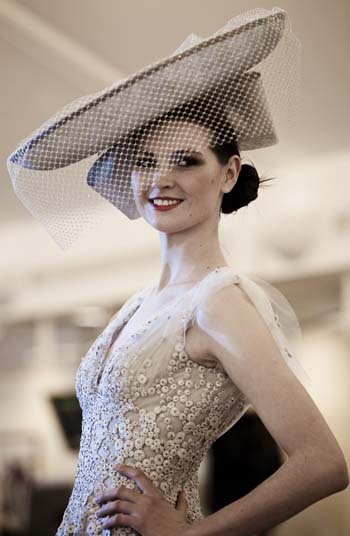 Ladies were invited to wear their best millinery, adding dazzling colour and glamour to the day’s activities and, during the afternoon, and with the help of ten professional models, the Master organised and compered a fashion show of magnificent couture designer dresses and hats, all specially created for the day. 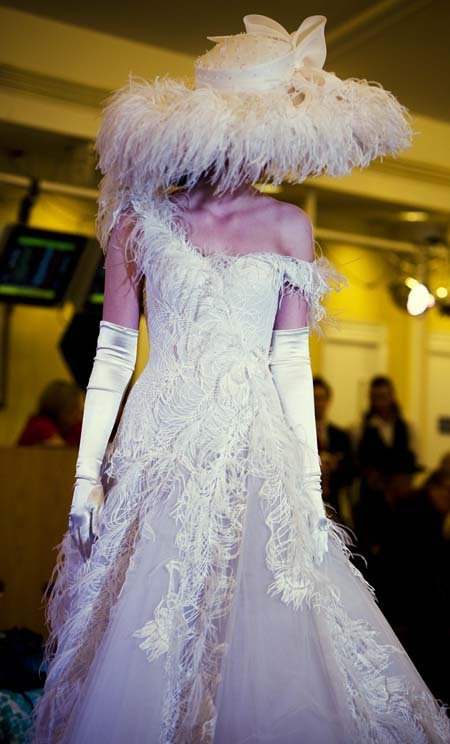 The dresses were designed by Kruszynska Couture of Knightsbridge, and the hats by Eda Rose Millinery, both considered to be amongst the leading couture designers in the country today. It was a wonderful day even without the racing. 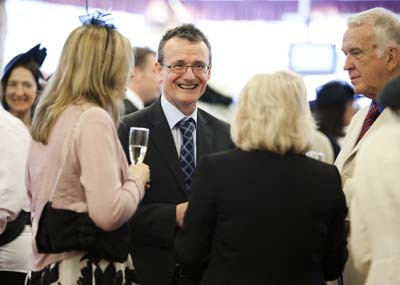 Due to a waterlogged course, the Ascot race card was transferred to Kempton Park where the races could be watched by guests on the large TV screens in the restaurant. The Tote was onhand to take bets. Guests were finally treated to an excellent afternoon tea in preparation for the return home. Many little touches added to the sense of occasion. The champagne was Taittinger. Each guest had a beautifully designed booklet, a personalised name card for the table plan with the Company’s crest, and a copy of the Racing Post. Each table also had a beautiful display of orchids. It all went to show that a huge amount of thought had gone into making it a day to treasure for a very long time. 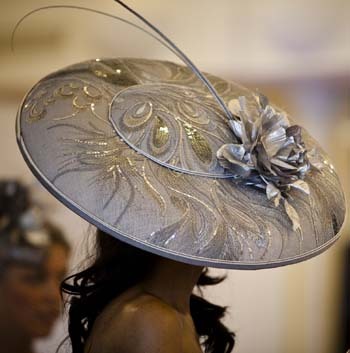 I and many others were “blown-away” by Springtime at Ascot. In summary, this was a brilliantly successful occasion thoroughly enjoyed by all those who attended.